LD Arch Design focuses on remodels and additions to existing houses. While it can be an exciting opportunity to design and build a new house, it is also a rewarding challenge to bring new life to existing buildings. There are many steps that can be taken to make your existing house greener, more efficient, more functional, and more beautiful; you don’t have to move to have a space that fits your lifestyle. If you are interested in making changes to your home, you can take advantage of a free consultation for your residential project. Read more about the design principles that guide the work. A deep green remodel with high efficiency envelope improvements and solar panels becomes an example of an affordable net-zero energy (or nearly) home. Featured on the 2013 Seattle Green Home Tour. A classic 1950s era home is opened up and given a bright and playful update, improving energy efficiency and using healthy materials. 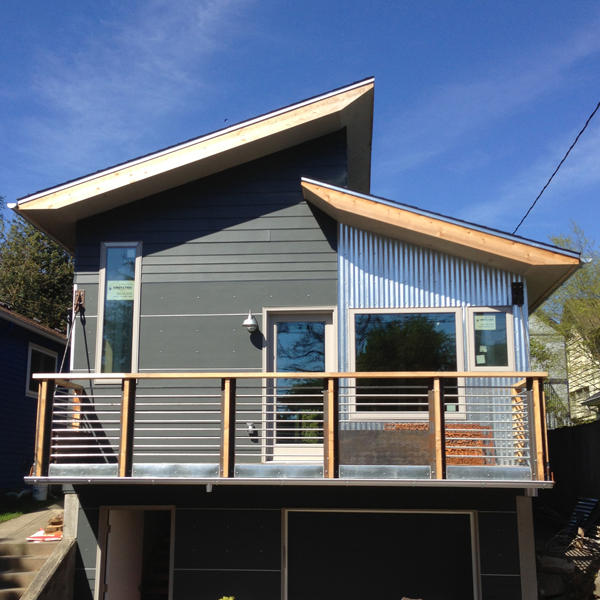 A tiny “war box” home is transformed by a passive solar addition with a green roof. Featured on the 2012 Seattle Green Home Tour. A “long and lean” home is transformed with a 2 story addition and change of front entry. 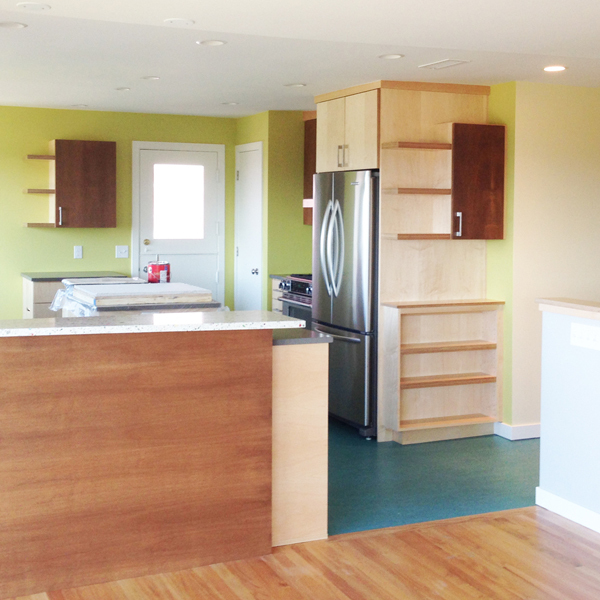 This 21-unit affordable housing community provides a good example of affordable green building materials and technologies.